We contracted the services of Adjust Procurement Solutions to support our tender application for the London Procurement Programme. I cannot thank you enough for the support, advice and encouragement you have offered over the last four months. You clearly understand the procurement process. 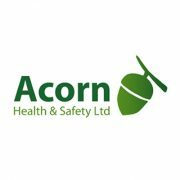 As you are aware two weeks ago we received notification that we have been successful in all three lots and Acorn Health and Safety Ltd is now on the preferred supplier list for all London NHS Trusts which is more that we ever hope to achieve. It goes without saying that we will continue to recommend the services of Adjust Procurement Solutions to any business needing support and guidance in this specialist area.